The man was among the migrants who climbed over two barbed wire fences and appeared to have died of a heart attack, they said in a statement. ‘Unfortunately, one of the migrants died … it seems from a cardio-pulmonary arrest,’ the statement added. 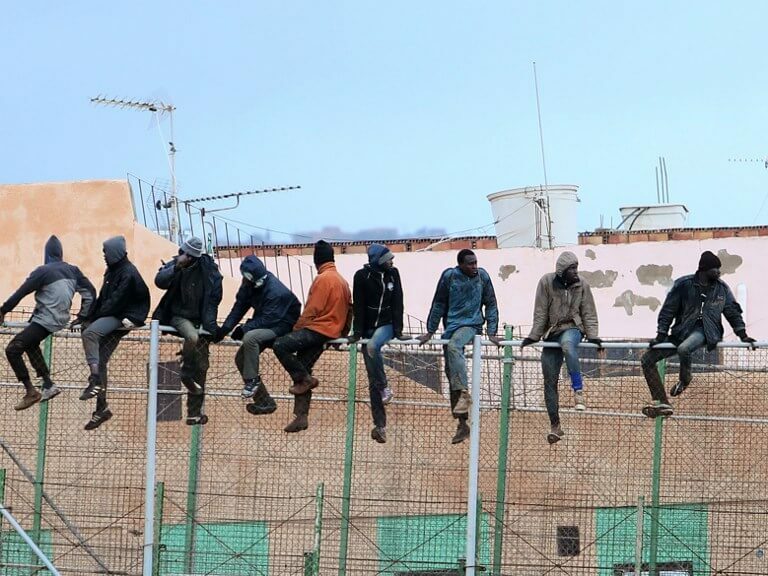 Another 100 migrants from the sub-Saharan region had failed in the attempt to enter Melilla, the statement said. Nineteen other migrants were treated for fractures or cuts, local official Sabrina Moh said in a statement. In addition, six members of the security forces were slightly hurt but did not require medical treatment. In June, the Socialist government of Pedro Sánchez said it intended to remove the barbed wire but has so far not done so. In late August, the Spanish authorities sent about 100 migrants who had entered Ceuta – a second Spanish enclave in Morocco – back across the border, sparking an outcry from human rights groups.